- Starts Just @ € 10.99* /mo. Extremely Reliable Security is provided against DDOS attacks. Your High Configured Cloud Server will be fast and simple to use. Eliminating downtime on Hardware failure, continue uninterrupted. Select Netherlands, Germany as a base! Choose Your Suitable Cloud Hosting Package and Scale Up As Per Required. *Offer valid for onetime on monthly billing cycle. Offer not valid for other billing cycles. ‡FREE Migration is available only in case you subscribe to any above Cloud VPS Package with Premium Control Panels. ScopeHosts, the Best Cloud Hosting Provider, offers Cloud VPS as a IaaS & PaaS services to small and medium Scaled Enterprises. We have designed Cloud VPS for complete Reliability. We understand downtime costs money, all Virtual Servers have auto restore ability in case of any hardware failure, giving 1000% Uptime SLA and Data Security. Choose ScopeHosts Cloud VPS and immediately you see the difference with our cloud solutions. Experience High-Performance on Hybrid Technology Platform with blazing fast Pure SSD`s helping website pages loads up to 300% faster than mechanical drives. We provide full-fledged Cloud environment with latest technology to develop any projects. Choose the scalable cloud hosting plans for managing your work online. SAS Based Cloud Hosting for Your specific Business Needs. ScopeHosts Cloud VPS Hosting lets you concentrate on Business Development and we will be your Backbone to fixing things. 24/7/365 Expert Support Based in India/UK. You are One-click away to manage your Cloud VPS!! World-class Cloud Solutions based on a world-class platform and features. We have SAS 15k connected to Public Cloud VPS with SSD Caching gives extra boost to your website efficiency. Our each public Cloud Server platform is connected with high network volume of 1Gbps Network Connection. All Latest Intel Xeon Servers with Hyperthreading Enabled to proffer cent percent high performance. Agitated with downtime? At Scopehosts we provide 100% uptime to keep your sites available 24/7 without hiccups. Existing resources are exhuasted? upgrade cloud server resources at anytime with no downtime encountered. 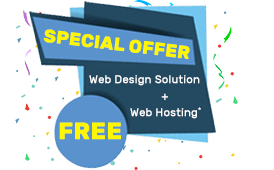 Highly experienced web hosting experts are available 24/7 to resolve any queries quickly with valid solutions. See Why Customers LOVE SCOPEHOSTS!! 1. What is Cloud VPS Hosting ? Ans: It is the hosting of virtual private server on the cloud. Cloud VPS Hosting is the powerful alternate of dedicated servers and affordable than dedicated servers. Cloud server allows you to easily scale the server resources at any time. Cloud VPS Hosting is the most reliable hosting service as your data will be stored on multiple servers to ensure that data is easily retrieved when encountered with any server issue. 2. How fast do you deploy cloud server ? Ans: ScopeHosts ensures that your server is deployed quickly with no hassles caused. Depending on the operating system and other additional features selected, the server deployment takes around 1 to 5 working hours. 3. Do you offer moneyback guarantee ? Ans: No. With Cloud VPS we do not provide moneyback guarantee. A FULL Refund will be issued to Shared Hosting, Wordpress Hosting, Reseller Hosting, VPS Hosting, Business Hosting Only. 4. Is my cloud server dedicated to only me ? Ans: Yes, you can have your own private cloud. Your Cloud VPS is based on KVM virtualization technology, providing you high level virtual dedicated server environment. You will have complete control over your server and can easily scale up/down the resources whenever required. 5. Can I use the server resources I pay for ? Ans: There is no term called ‘burstable’ when it comes to cloud hosting. All your server resources are only dedicated to you. You can use the resources you pay for, and pay only for the resources you have utilized. 6. Do you support video streaming ? Ans: Video streaming is supported on cloud servers. Although, support for video streaming depends on the size of multimedia file or video which will be streamed, the number of video viewers and the resources available on the virtual server. 7. Do you provide free backup ? Ans: No, we do not provide free backup. You are responsible for your work backup. You can have your website backup, only if you have opted for the backup option while signing up with our Cloud VPS Hosting service. 8. How can I raise the ticket ? Ans: Follow this simple procedure to raise the ticket, Go to your client area> Click on Open ticket on top bar> Select Department> Write your Query> Submit. 9. Is there any minimum contract with cloud hosting service ? Ans: No. ScopeHosts do not believe in binding you with any constraints, hence we do not have any contract period with cloud hosting service. Sign up today with Free Server setup, and you are eligible to cancel the service at anytime with no exit fees. 10. Do you provide Windows Cloud Servers ? Ans: Yes, we do provide both Linux and Windows Cloud Servers. For windows servers you can choose from Windows 2012 R2. 11. How to connect to Cloud VPS ? Ans: You can connect to Linux platform based server through SSH and PuTTY. Connect to the Windows platform based server via Remote Desktop. If you face any issue with connecting to your cloud server then you can raise ticket or contact us directly. 12. How many IP address do I get with cloud server ? Ans: You get only 1 IPv4 address for free. If you require additional IP address, then contact us. 13. Can I install the software or application what I wish for ? Ans: Yes. You can install any required application or software. But in case if you receive any abuse report then you need to remove the content and update the abuse report on time. So ensure to read our Acceptable Usage Policy before installing anything to adhere to our usage policy. 14. What control panel you provide with cloud hosting ? Ans: We provide cPanel/WHM panel, DirectAdmin Panel, ISPManager Lite and Plesk Onyx panel as addon enabling you to manage your linux or windows based cloud server efficiently. 15. Can I change location of my server ? Ans: Yes, you can change the server location. To relocate server you can contact our hosting experts at anytime. If you are a new customer then choose the apt cloud server location when subscribing with the service. Our cloud servers are located at Netherlands, Germany. 16. How secure is my data on cloud server ? Ans: Data on cloud server is stored on Storage Area Network with RAID 10 controllers. The information is saved on different hard drives, so no data loss if drives fail. 17. Can I install OS of my choice ? Ans: Yes, you can install OS. Reinstall your VPS through SolusVM panel and install the OS of your choice mentioned in the panel. If you choose to install the OS other than the mentioned cloud hosting compatible OS, then contact our hosting experts for Custom OS requirements. 18. What hosting plan should I go with ? Ans: ScopeHosts offers scalable and feature-packed cloud vps hosting solutions. You can choose between our best plans suiting your needs. Please contact ScopeHosts sales team with your requirements and specifications for the best cloud hosting solution.